We invite carers groups to use the facilities at Rose Hill and we support carers groups as much as we can. 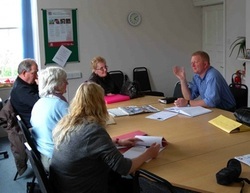 The Northern Devon Family Carers Group already meets at Rose Hill. If you have any questions or queries regarding the following please contact: Northern Devon Family Carer’s Group.